One of my favorite Japanese dish is sushi. In fact, I love all kind of Japanese rice dishes, from sushi to nigiri, onigiri, chirashi, or the tonkatsu, yakitori, etc. All of these will require one main ingredient, the famous “sushi rice”. 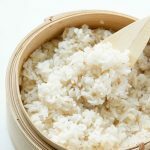 Sushi rice is a special Japanese round and short grain type of rice, semi-sweet, sticky, and quite tasty too. Most of the time, they will be label directly on the bag as Sushi Rice, which you could try the international aisle at your super grocery store, or if your place has one, Japanese/oriental market surely carry them. 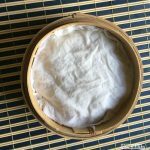 If you can’t find anything with label “Sushi rice“, then look for something like Dongbei, Boltan Calrose, or Kokuho Rose rice would work too. Amazon and certain online store like Catalina carry them at tad bit higher price for convenient shopping. If none of that available, then you could mix a half-half portion of your long grain white rice and sweet rice. The result will be a bit different, but it’ll work. 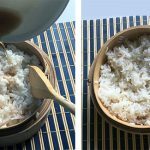 You will also need a wooden spatula and a non-metal wide tray/container to mix the rice and “Su”, vinegar mixture together at the end. Most of the Japanese will use hangiri for the mixing, but it’s kinda expensive to buy if you just making sushi occasionally. 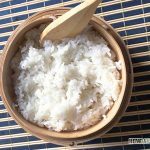 If you’re planning to make sushi rice frequent and interested to buy one, try to look at your local oriental store, if not, some online stores do sell them at double the price though. 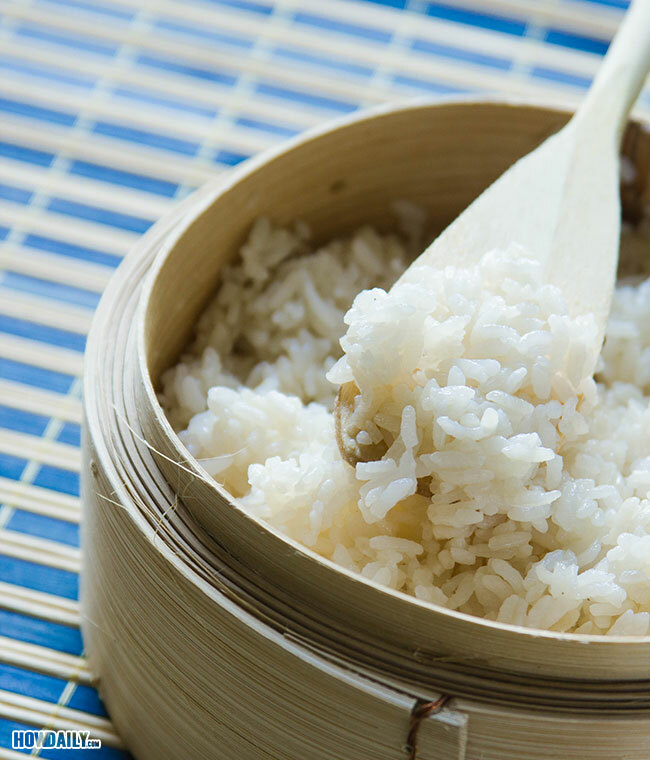 With a colander and large pot, soak and rinse the rice 4-5 times to remove all starch and dirt. Soak rice for 30 min - 1hr. Rinse and transfer to colander, let rest for 30 min. Stir under low heat to let all sugar/salt dissolve (not boil). Turn off the heat, keep cover on and let it rest for another 15 minutes before proceeding. Transfer your hot cooked rice into a hangiri or wide pan/bowl/tray (anything but aluminum due to its reaction with vinegar). Leave the bottom most layer alone, do not scrape this hard layer rice as it's not suitable for sushi making, just fry/roast it later for a nice something. Sprinkle the "Su" mixture onto the rice and stir gently with spatula. If you have a small fan, turn it on to blow away some heat/extra moisture while mixing the rice. If you use this sushi rice for chirashi, onigiri or as any side dish, then just serve it like this. 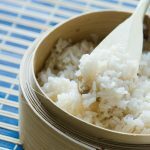 Otherwise, for rolls and nigiri, cover the rice container with a damp towel and let it sit for about 30 minutes to 1 hr to let rice cooled down. Now the sushi rice is ready to be rolled. 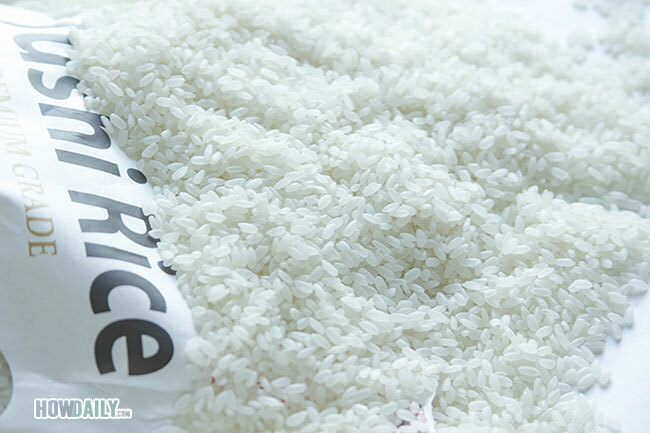 Cover the cooked rice with damp towel to reserve its necessary moisture level. The best sushi rice should be a bit sticky but not smushy or wet. If you eat sushi a lot, consider buying an electric rice cooker to save time/energy while cooking.